A data member of a class can be qualified as static. 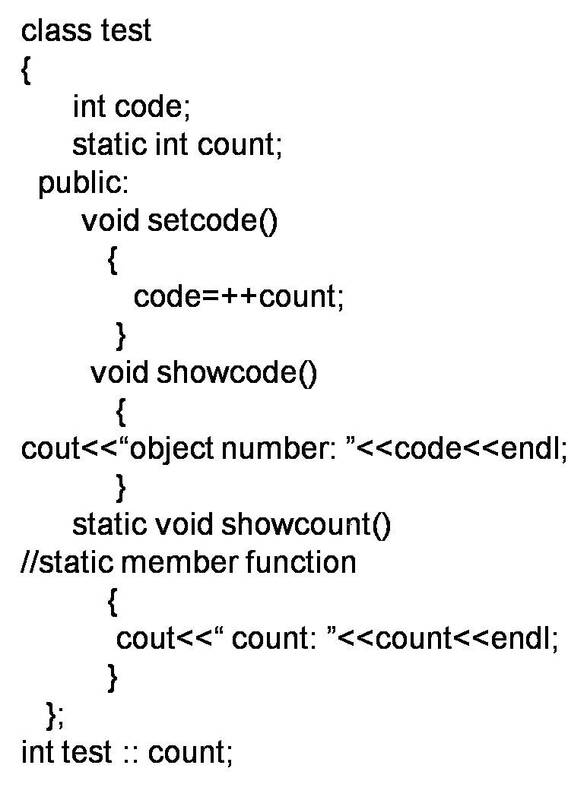 A static member variable has certain special characteristics. 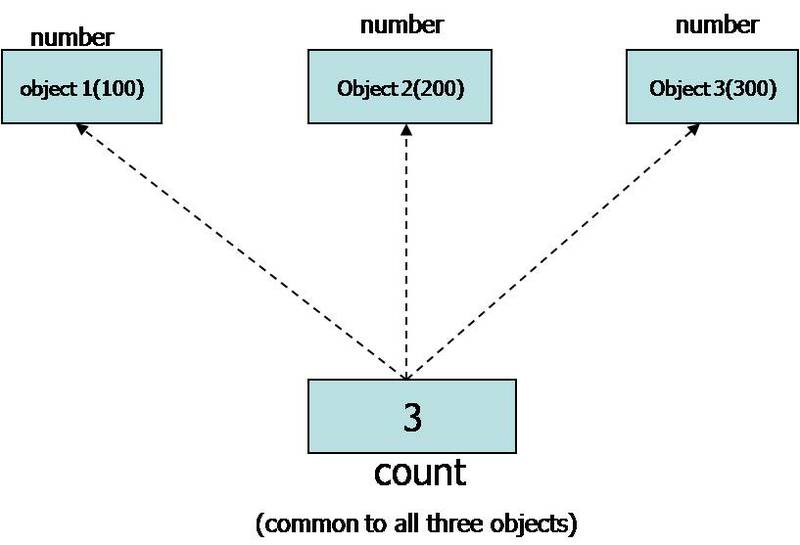 Only one copy of that member is created for the entire class and is shared by all the objects of that class, no matter how many objects are created. 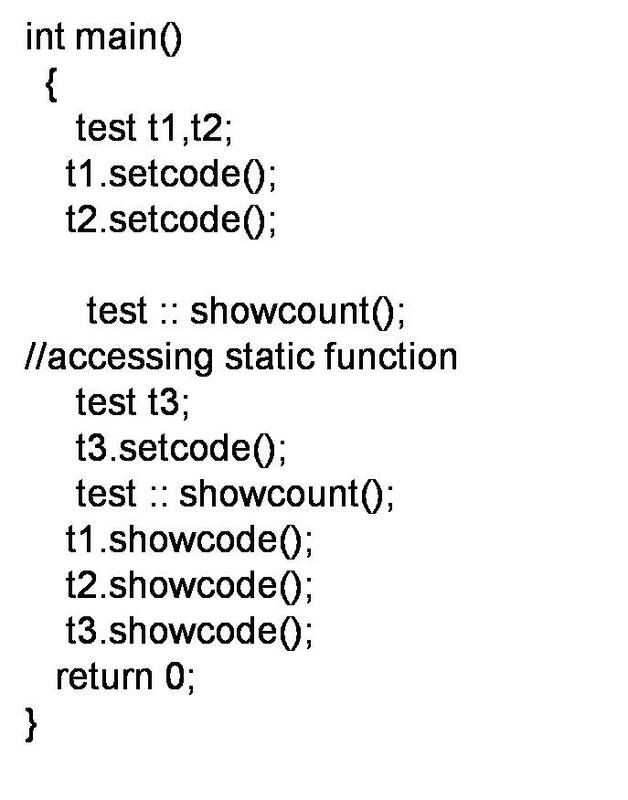 Static variables are normally used to maintain values common to the entire class. The type and the scope of each static member variable must be defined outside the class definition. Because , the static data members are stored separately rather than as a part of an object. They are also known as class variables. A static function can have access to only other static members (functions or variables) declared in the same class.